Have you started decorating for the season yet? The better question may be this: has frustration set in over the sheer quantity and disorganization of all the ornaments, bulbs and lights? Does it make you grumble like the Grinch? For some, the decades of children’s handmade ornaments stuffed in plastic bags collect dust in the attic. For others, the idea of untangling a web of hundreds of lights leaves them with visions of Santa sending his sleigh to whisk them away. 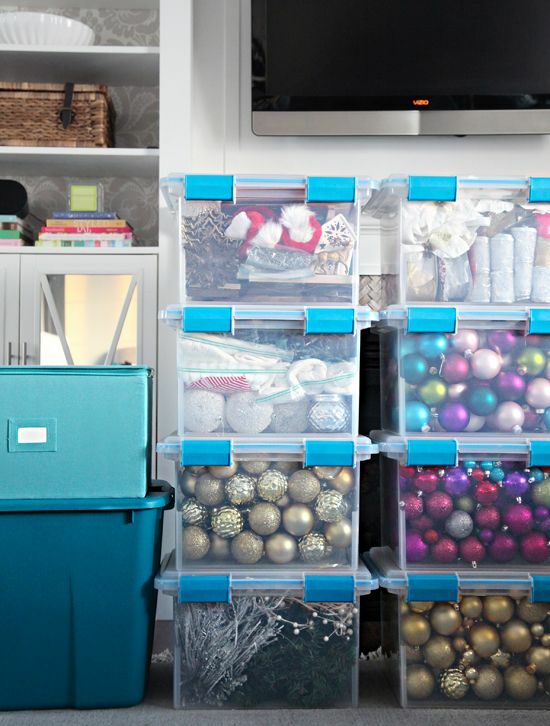 Instead of dreading holiday decorating, why not set out to organize and efficiently store your decorations? Start this season, and next year you will be thanking yourself. After you get them all organized safely and efficiently, plan to store your artificial tree, holiday decorations, and that inflatable snow globe in a 5A Rent-A-Space self-storage facility near West Maui. Take Time to Purge Your Decorations: The holidays make us sentimental, so we will keep those items that no longer have use or are in such poor shape even your trash can will cringe. It is perfectly normal to feel this way. Motivate yourself to purge some ornaments now and save yourself a headache later. Go Ahead and Organize Your Ornaments: Sometimes it is not the number of items we have; it is the packing material we use that frustrates any ideas of organizing. You can splurge on a fancy ornament holder found online, or use a sturdy box and bubble wrap, and then pack those decorations safely. Remember to put the most fragile ornaments at the top of the box. If you have not done it yet, this holiday season is a great time to purge. Cut notches at both ends of a rectangular piece of cardboard. Wrap a strand of lights around the cardboard. Store in boxes with some bubble wrap or newspaper in between. Use some one-gallon plastic bags. Put a single strand of lights in each bag. For those large sets of over-the-bush lights, store them each in separate kitchen size garbage bags, tie the ends and label with a black marker right on the white bag surface. Make It Easy with Clear Plastic Boxes: If you are a visual person, then you will love being able to see everything in a clear plastic tote. One tip: keep the size reasonable. Buy a Gift Wrap Organizer: Give yourself the gift of sanity; buy a gift wrap organizer and keep all your wrapping supplies in one place. Safely Store All Your Ornaments and holiday decorations in a Self-Storage Facility: You can sort and organize all you want, but if you do not have space in your home or apartment, decorating will quickly become a chore. A self-storage facility can ease your holiday stress levels. 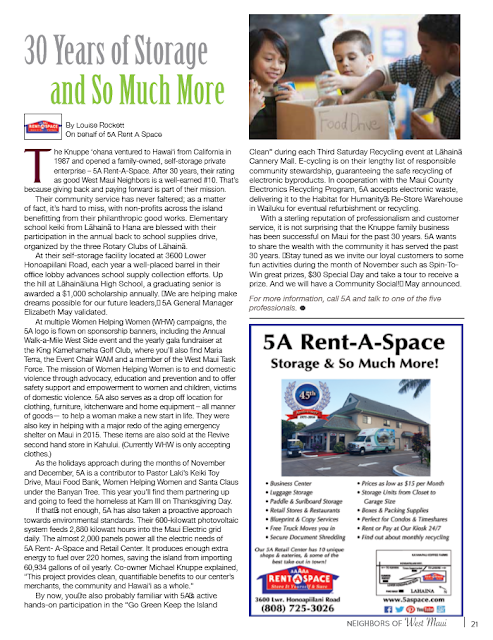 Enjoy decorating again when you rent a storage unit near your West Maui home. The 5A Rent-A-Space self-storage facilities give you the extra space so you can celebrate the holidays stress-free. We are offering 20% Off our boxes and packing supplies for December/January. Also, our glassware boxes with their compartments and the small plate covers (bubble wrap envelopes for storing dishes) are very handy for storing tree ornaments. Reserve your self-storage unit online now. Call 5A Rent-A-Space at 808-745-1616 or toll-free at 1-800-5ASPACE (1-800-522-7223) to learn more. Not sure how much space you will need for your items? Use our online Space Calculator to estimate the best unit size for you. The holiday season is a time of family, fun, and food. Days of shopping, wrapping presents, and baking yummy goodies quickly take up your time. If you are moving during the holidays, your holiday cheer can soon turn Grinchy. Adding packing, loading, traveling, unloading, and unpacking to your busy holiday schedule can cause a great deal of stress. You can have a stress-free move when you utilize the following tips. A 5A Rent-A-Space storage rental near West Maui can free up space and give you breathing room to enjoy the holidays even in the middle of a move. Make Full Use of Your Holiday Cards: As you are writing out holiday wishes in your cards, go ahead and let your family and friends know your new address. If you have little ones, make sure Santa knows you have moved. Make sure they mention it in their letters to the Head Elf. Get Your Gift Shopping and Wrapping Done Early: Now is not the time to wait until the last minute to get your shopping done. Take a look at the days to come so you can plan on purchasing and wrapping your presents as soon as possible. You avoid the frustration of trying to locate your scissors, tape, and wrapping paper in the midst of half-packed moving boxes. Remember to grab stocking stuffers, too! Turn Up the Tunes: It can feel decidedly unfestive to spend the holidays packing. Turn up your favorite Christmas carols to sing along as you pack boxes and sort through your belongings. Limit the Decorations: Resist the temptation to keep up with the neighborhood’s ‘annual decorating contest’. Consider limiting the decorations to your living room. This will make it much easier to take them down and pack them up. Check Out Your New Community: If you are moving right before the holidays, check out your new community by driving through the neighborhood looking at the festive lights. Take a Break: It is a good idea to take a break even though you may want to unpack throughout the night. Santa’s elves may work right up until the sleigh leaves the North Pole, but you don’t have to! Get your family together, make some cocoa, stock up on cookies, and enjoy a simple celebration of your move. Take Advantage of a Self-Storage Unit: Nothing can bring out the Grinch in a person than having too much clutter while trying to move. When you take advantage of the extra space a self-storage unit offers, you keep your home free from the frustration of tripping over packed and half packed boxes. 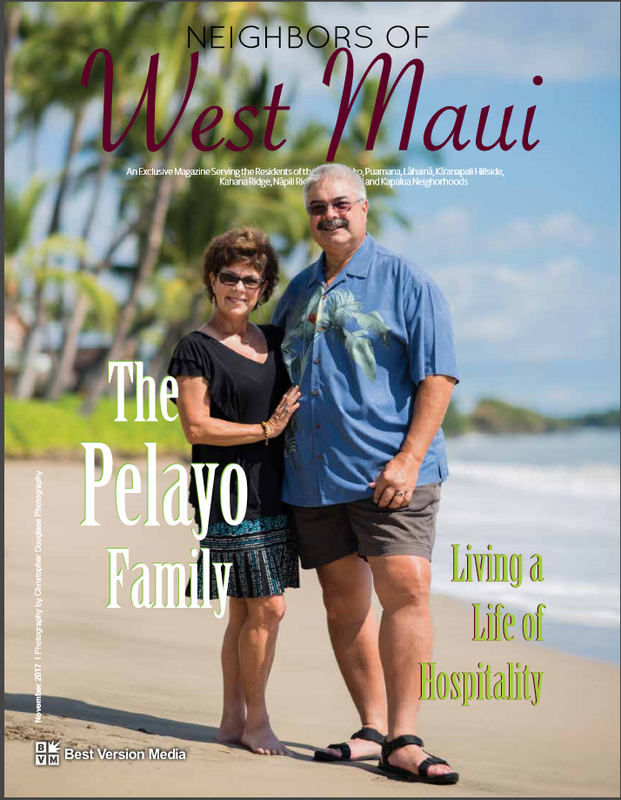 De-stress your holiday move by renting a storage unit near West Maui. 5A Rent-A-Space has a variety of space sizes to meet your needs. During the months of December & January, we are offering 20% Off our boxes, packing supplies, and glassware boxes with their compartments. Holiday Tip: The small plate covers (bubble wrap envelopes for storing dishes) work wonderfully for storing ornaments. Get some today to pack up your decorations after the holidays in an efficient and organized manner. We wish you and your family a successful move and a stress-free Holiday Season! Many people struggle with clutter in their homes. Whether it is because of too many items collected over the years or a home with too little storage. Being overwhelmed with stuff produces a stressful environment. However you do not need to get rid of everything you own and live a minimalist lifestyle. Your home can remain clutter-free all year long if you store seasonal items in a rental unit. As the seasons change from summer to fall to winter, you probably have clothing, blankets, throws, and sports gear that do not need to take up valuable real estate in your home. However, you will need those items in the coming months. Safely and efficiently store clothing, yard tools, your grill, the kids’ inflatable pool, and other summer and fall items in 5A rental units near San Mateo, and get your house back! Use Plastic Bins: Plastic bins are ideal for packing your things away. They seal tightly, preventing bugs and dust from getting inside. Additionally, moisture is unable to penetrate plastic and soak into your fabrics. Pack Neatly, But Not Too Tightly: When you over pack your boxes or totes, bulging can occur. If you under pack, then an avalanche of boxes may occur if the under packed one(s) are nearer the bottom of the stack, as the under-filled ones cannot hold up heavier ones. Label Your Boxes: Make it easier to find what you are looking for without digging through boxes when you clearly label boxes. Always stack the boxes or bins with the labels visible. Use Skids or Pallets as a Moisture Barrier: If you use cardboard boxes, remember that they absorb moisture. Once you put cardboard in direct contact with concrete, the cardboard can act as a wick and quickly allow moisture to seep into your belongings. Put Larger, Bulkier Items at the Bottom: Let your bulky items support your lighter-weight boxes and totes. Utilize a Shelving System: Shelves can offer an organized way not only to store your items but also to make it easier to circulate items between seasons. Bring home the beauty of winter and gain a clutter-free home again when you use rental units near your San Mateo home. 5A Rent-A-Space has the extra space you need to give you the peace and relaxation you deserve in a spacious, neat home. Reserve your self-storage unit online now. Call 5A Rent-A-Space at 650-338-0016 or toll-free at 1-800-5ASPACE (1-800-522-7223) to learn more. Not sure how much space you will need for your items? Use our online Space Calculator to estimate the best unit size for you. Fall has arrived which means the season of celebration is right around the corner. Embracing holiday decorating is one way to enjoy the festivities. Having an inflatable yard turkey or snow globe can consume a lot of room in your garage, attic, or storage shed. Storing decades of homemade Christmas ornaments in a closet or spare bedroom can leave you feeling frustrated when you are ready to decorate your home. If you are a bargain shopper who loves to take advantage of after-holiday sales, you can quickly run out of space for all the stuff you bought but do not need right away. What do you do when you pick up extra lights, décor, table linens, or even gifts, and you have no more room to store your treasured finds? Utilizing a 5A Rent-A-Space storage rental near San Mateo can give you the space you need to keep your bargain hunting skills sharp, and maybe even hide a unique gift or two until it’s time! You can buy now and safely store your goodies in your rental unit. Keep Decorations Towards the Front of Your Unit: Storing your decorations near the front of your unit makes it easier to reach in, grab what you want, and head on your way. If you are not able to store them in front, try to place them on top of other belongings. It will easier to pull boxes off the top of a stack instead of from the bottom. exact holiday each tote contains, especially if you enjoy decorating for several celebrations over the course of the year. 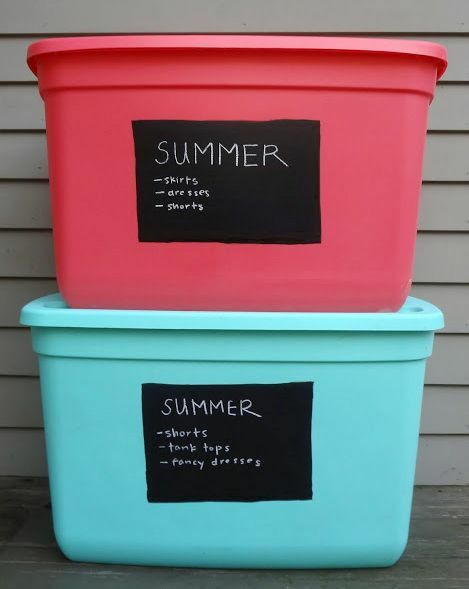 Return Bins Neatly Organized Inside: Think ahead to next year and lessen the headache of unpacking a messy box. Put your ornaments and decorations back in your boxes neatly after you are done. Rotate Boxes When You Return Them: When you are done with your Halloween decorations, avoid stacking them on top of your Christmas decorations. You will only have to move them later to get to what you want. 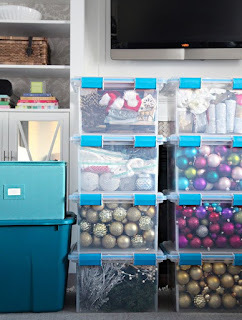 Rotating your boxes and bins can lower your anxiety when the next holiday rolls around. De-stress your holidays by renting a storage unit near San Mateo. 5A Rent-A-Space has a variety of space sizes to meet your needs. Moving your things into a Self-Storage Unit Near Lafayette Just Got Easier! preparing for a home renovation and need to remove some belongings temporarily. No matter what the reason, utilizing a rental unit is an excellent solution to buying you room and time while you finalize your plans. However, the idea of moving your items into a storage unit may be frustrating if you do not have a vehicle to transport your belongings. If you or your friends do not have a pick-up truck or van, you could be facing the high prices of renting a moving truck. Renting a self-storage unit near Lafayette just got easier when you use the free moving van service from 5A Rent-A-Space. Why Use Our Free Moving Van Service? You enjoy the convenience of unloading directly into your unit. You do not have to walk a considerable distance to unload the moving van. We offer wide driveways, and our driver will pull up near your unit. You save gas. Instead of making multiple trips in your personal vehicle, load up our van with everything that can fit at one time. We do the driving from your location to your storage unit. You save money. Moving gets expensive with truck rental payments, utility transfers, truck and moving company fees, and other miscellaneous expenses. You can skip renting the moving truck when you use our free moving van service. This helps you save money for other things that you will need after the move. You have access to suitable moving supplies. Sometimes, finding the right size and number of boxes to pack can be challenging. We sell boxes and packing supplies, like tape, bubble wrap, packing paper, marking pens, and more to help you pack your belongings efficiently. Reserving a unit is quick and easy. As a first-time renter of a 5A Rent-A-Space unit, you can talk to one of our professional team members to reserve your unit and book the time slot for your free moving van. Spots fill quickly, so do not delay. Enjoy the ease and convenience of renting a self-storage unit near Lafayette with the special advantage of our moving van service. 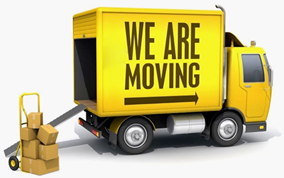 Set up your move time, pack up your belongings, and we will drive to your location so you can load up. Not only do we take your items back to your rental unit, but we also park close enough to make unloading a cinch. How much easier can it be to move? Reserve your self-storage unit online now. 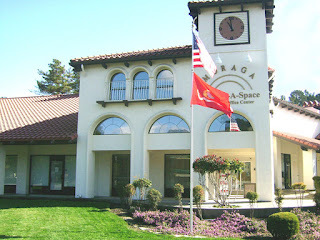 Call 5A Rent-A-Space at 925-643-2024 or toll-free at 1-800-5ASPACE (1-800-522-7223) to learn more. Not sure how much space you will need for your items? Use our online Space Calculator before renting a self-storage unit near Lafayette. It is no secret – moving is stressful. Even if you are excited about your move, making all the necessary plans and mapping out all of the details can leave you feeling exhausted. If you are utilizing a rental unit during your move, have you determined how you are going to get your belongings to your new unit? What if you do not have a van or pick-up truck ready in time for your move? Renting a moving truck or van will add to your moving expenses. If you need temporary storage, don’t waste your money on renting a van only to take your belongings to a storage unit. 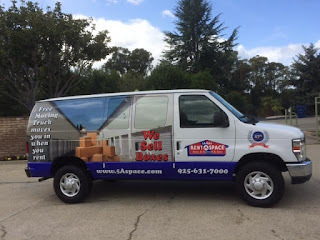 Ensure your move is stress-free with a free moving van from your Moraga storage rental company at 5A Rent-A-Space. We can move you in free when you rent a unit from us. Let us help you minimize the stress and headaches and save on the cost of renting a van or truck. Save Gas and Time: When you take advantage of our free moving van service, you can save time and gas. Instead of making multiple trips between your home and the rental unit, our van may be able to transport all your stuff in one trip. Save Money: Renting a moving van or truck can be quite expensive. Our free van helps you save money for more important details with your move. Keeping it Simple: With so many details to keep track of, why worry about one more outside service? We work with you to get your belongings to your storage unit in Moraga. Additionally, we even offer moving supplies to pack up your belongings and our managers can counsel you in the best ways to pack and protect them. Extremely Convenient: One key to moving your belongings into your rental storage unit is to have everything packed and ready to load up when we arrive at your location. When our driver comes, you can load up the van with your items and then unload your items directly into your unit. Reserve Quickly: Our van is available for first-time renters. When you rent your first unit with 5A Rent-A-Space, be sure to reserve your moving date. Spots fill quickly so do not delay. Moving does not have to be stressful when you rent a storage unit and use our free moving van service at your Moraga 5A Rent-A-Space location. We have storage units in a variety of and prices, one for every budget. Reserve your self-storage unit online now. 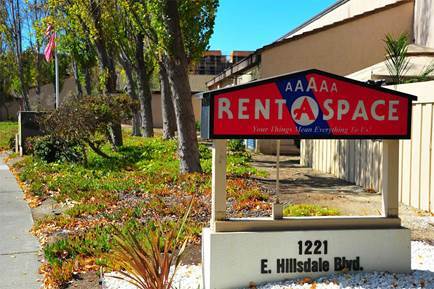 Call 5A Rent-A-Space at 925-643-2024 or toll-free at 1-800-5ASPACE (1-800-522-7223) to learn more. Not sure how much space you will need for your items? Use our online Space Calculator before renting a self-storage unit in Moraga. Life is in a constant state of flux from moving into a new home, to downsizing from your existing house, making room for baby, or sending your child off to college. As life continues to ebb and flow, we often accumulate a lot of "stuff". When you run out of storage space at home, consider renting a storage unit. Whether you need to store your belongings temporarily while you move, or stow away items so your elderly parents can move in, a 5A Rent-A-Space self-storage unit is the answer. There is no reason to have an impromptu yard sale of your son's furniture while he is away at university. You can make room by storing his stuff away in a rental storage unit. Why let different stages of life clutter up your life? Free up space at home with a self-storage facility near San Mateo and enjoy your next adventure on life's journey. When you are moving: Moving can be a very stressful time. Packing and planning ahead can help alleviate some of the stress. However, piling boxes all over your home can make the family uncomfortable in a cramped space. When you put your boxed belongings in a storage unit, you free up space to make your move easier. The moving truck can go to your storage unit at a designated time and deliver them to your new home. When you are downsizing your home: Are you left with an empty nest? If your youngest has flown the coop, downsizing may make sense. It also means determining what you need and do not need in your smaller home. An offsite storage unit gives you time to sort through your belongings on your schedule. You won't feel pressured to hurriedly toss out mementos that have precious sentimental value. 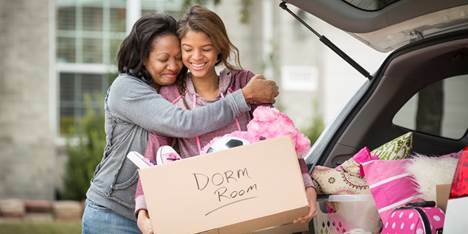 When a child moves out for college or university: Already have plans for your daughter's room when she heads to college this fall? Make room for your new home office by storing your child's belongings in a self-storage facility. 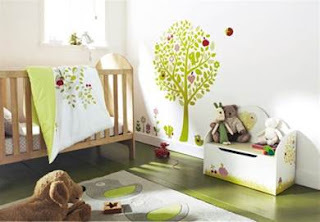 When you need to make room for a new baby: New babies require a large amount of new equipment for the new nursery. Storage units near your Peninsula Area home can help give you the space you need when you welcome your newest addition. When an aging parent moves in: Reversing the role of a child and parent can be tough for all parties involved. You may wonder where to store all of your stuff so Mom can bring some of her treasures when she moves in. Make Mom or Dad feel welcome by placing your extra belongings in a rental storage unit, making space for them. Take advantage of the benefits of self-storage, no matter what stage of life you may be in and at any time. 5A Rent-A-Space has different sizes of rental storage units near San Mateo to keep your cherished items protected and easily accessible. 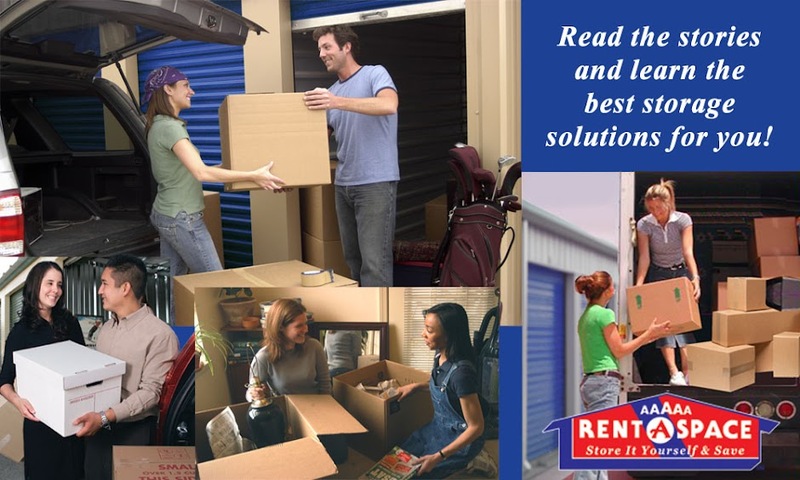 Call 5A Rent-A-Space at 650-338-0016 or toll-free at 1-800-5ASPACE (1-800-522-7223) to learn more about renting a self-storage unit near San Mateo. You can also reserve your unit online now. 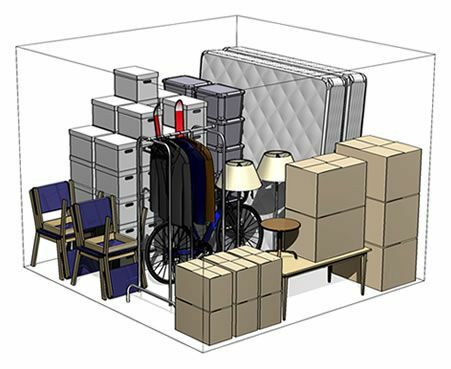 If you are not sure how much space you will need for your items, use our online Space Calculator. When most people consider remodeling their home, they see the ‘before’ and ‘after’ images in their minds. However, there is the messy ‘middle’ that many fail to scrutinize. Before you can enjoy your new kitchen, have you thought about how you will cook your family meals during the weeks your kitchen is out of commission? What will you do with all your pictures and knick-knacks while your living room is getting its makeover? How much will the family be inconvenienced during your new flooring installation? Minimize the stress of all the clutter and simplify the clean-up process by renting a unit at a self-storage facility near San Mateo. Keep your fine china safe while your contractor and crew are working their way through your home. There are many ways to prepare you, your family, and your home before a renovation, but the greatest one is off-site self-storage. 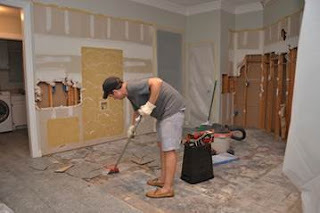 It can alleviate many worries about your belongings being damaged during your home renovation. Know what to expect: Inevitably, Murphy’s Law is in play during a remodel. Anything that can go wrong, probably will! Accepting this fact can help ease your stress during the process. For example, when products are delivered late, the wrong product was delivered, or you discover that there is a leak in the plumbing that needs to be fixed. Determine how you will manage your stress: Your renovation project will affect your everyday routines. 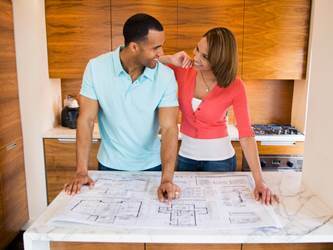 Ask your contractor as many questions as you can regarding the remodel process. Keep the lines of communication open between you and your significant others. Ask that your contractor prepare a timeline for you on each project’s progress. Then you and he can better keep the whole project on track. 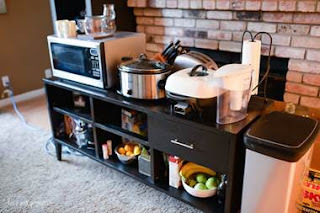 Set up a temporary kitchen: If you are remodeling your kitchen, you will not be able to cook a four-course meal, but you can still feed your family something better than take-out. Determine where you will wash dishes or stock up on plenty of disposable tableware. Be sure not to temporarily overload your electric outlets with additional appliances. 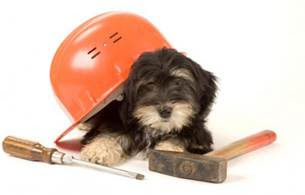 Keep your family and pets safe: Make sure that your children understand they need to stay out of the work zone. Find ways to barricade your pets from the work areas. Tidy up as you go: The amount of dust you will experience may surprise you. Protect those items that you cannot move, such as your floors, large furniture or pianos, by sealing off work areas with plastic tarps or a drop cloth. Request your construction crew to sweep up dust and debris at the end of each work day. If they are doing any outdoor projects, ask that they clean up the dust periodically throughout the day. This will manage the amount of dust that comes in the house. Rent a storage unit to keep down the clutter: If your kitchen is being remodeled, you will need to pack up most of your dishes, pots, and pans. Renting a storage unit near San Mateo will help you stay organized and reduce breakage and damaged items. Less clutter leads to less stress during this disruptive time. Take time to prepare your home and family for the upcoming disarray before, during and after a home remodel. 5A Rent-A-Space has storage units in a variety of sizes to keep your belongings protected yet accessible. Reserve your self-storage unit online now. Call 5A Rent-A-Space at 650-338-0016 or toll-free at 1-800-5ASPACE (1-800-522-7223) to learn more. Not sure how much space you will need for your items? Use our online Space Calculator before renting a self-storage unit near San Mateo. Congratulations! If you’ve just sold your home, but unfortunately find that your new home won’t be ready to move into for another month, what will you do with your belongings during that time? After a thoughtful amount of research, you find 5A Rent-A-Space, a storage facility in close proximity to your new home. 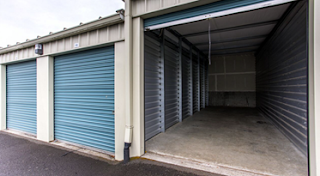 Unsure of what size storage unit you should rent? 5A has an online space calculator that can show you what size you need. But before packing up your belongings, ask yourself, “Do I have the correct supplies to protect my belongings while in storage?” Jean Colburn, 5A Rent-A-Space Customer Relations Manager, gives us her list of essential moving supplies and tips for successfully packing a storage unit. Tips for Packing a Storage Unit:. Use proper boxes and packing tape to store your personal belongings. These items are built to endure the weight of home items such as dishes, books, clothing, etc. Make use of the FREE pallets 5A Rent-A-Space offers to each customer. Having your boxes a few inches off the concrete floor can be helpful to your back when picking up boxes to move out of your unit. Wash all your dishes and glasses before placing them in boxes. When you purchase one of our Dish Packs or Glass Packs, the boxes are specifically designed to ensure the safety of these delicate items. Wrap each item in our wrapping paper so that you won’t need to re-wash after unpacking them in your new home. We also have padded sleeves to use as added protection for dishes and fragile items. 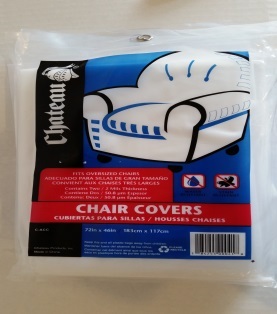 Cover your mattresses, sofas, chairs and dressers with covers. These covers will keep dust off your furniture while in storage. At 5A, we keep our facilities very clean, but we can’t prevent all dust from entering into each unit. When you begin to pack your storage unit, place larger items like dressers, chests, and mattresses at the back and along the sides of the unit. These are usually items you won’t need to access first and can be used to stack boxes and other belongings on top of them. Place moving blankets on top of dressers and mattresses before stacking boxes on top. This will help prevent any scratches from appearing on your furniture when shifting boxes around your unit. Place boxes with linens and bedroom items on top of the furniture in the back of the unit. Remove the legs off of your dining room table and tape the legs onto the underside of the table. This will allow you more space to store your belongings within your unit. Wrap your table in a moving blanket and lean the table against one of the unit’s walls. When storing sofas, cover them and place them on end against one of the walls. If your sofa won’t stand on end, lay it flat on the floor and stack end tables or smaller boxes on top of it. Leave items like appliances for last, storing them in the front of your unit. They are the heaviest items in your home and often the most difficult to move. Store items you will need to access more often towards the front of your unit. Remember to never store food items, cleaning chemicals, or items such as lawnmowers in your storage unit. Food items can attract ants into your unit. Cleaning chemicals and the oil that is found in lawnmowers can combust in a storage unit when the weather becomes warm. Fill your unit as neat and organized as you would want your home to be. This makes it easier to find items within your unit. Remember to label every box with its contents. It’s also a good idea to make a list of what you have stored and keep it with your storage contract. Then in the future, when you need a certain item you can find it easily. 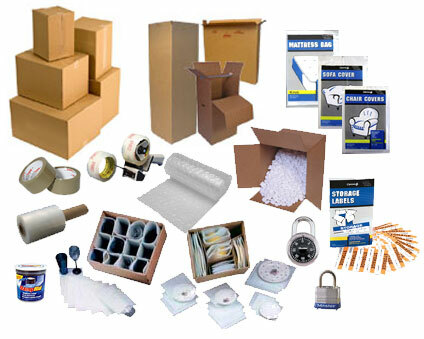 Are you in need of moving and packing supplies? 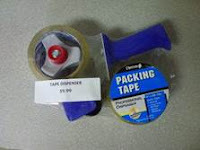 Stop by one of our sites to purchase your packing supplies today!